Jan. 4, 2014 | Welcome to Little Gull Marina! Happy belated New Years to everyone and we sincerely hope everyone had a great holiday season! For some reason or another I just didn’t seem to get to this and am now trying to catch up. We were closed for the holiday season and got a chance to enjoy the festivities. Bryan and Heather were home in December off and on as their schedules would allow with them each having to travel from opposites ends of the country. We were busy shoveling and plowing as Old Man winter has given us the earliest winter in years. 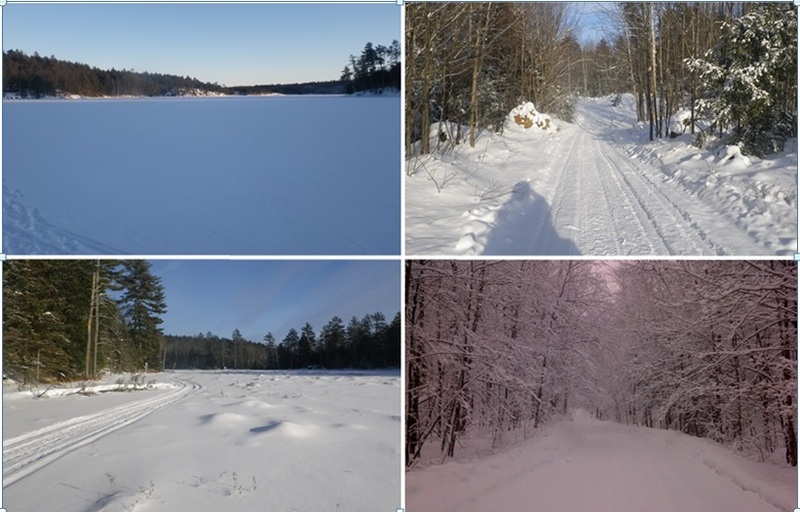 The snowmobile trails are awesome with all the work the club has been doing to get them up to near perfect condition. The lakes are being well traveled…but as always I will never say they are safe, only that we are confidently out traversing them now. The one concern is the snow load on the roof that has also kept us busy cleaning off all of our buildings! There have been lots of people up fishing and sledding and over-all enjoying the season that has come so early. We were up at Anstruther Marina last night and enjoyed an absolutely fabulous dinner in their newly re-designed and completely re-furbished restaurant! This is a must see and enjoy the food place to go this winter if you get a chance. It seems crazy but the Toronto Boat Show starts in less than a week for all of those who are sitting waiting for the water to soften (please don’t rush it!). It runs from Jan. 11-19th and promises to be one of the best ever! As always feel free to call and ask before purchasing that new toy to make sure what looks cool on the showroom floor is what will keep you happy for years to come! We are now open 7 days a week while the trails are officially open. Our hours are 9-4. Enjoy your time this week and hmmm would love to say back soon but that will remain to be seen as usual!